My plan for the month! I did two races this month. First was the Santa Clarita Marathon. This was a backup race in case I didn’t BQ in Portland. Since I did, my plan for this race was to run smart and recover well. One out of two isn’t bad! I totally hit the wall at 20ish but I recovered great and felt awesome after the race! The coolest part was I was the 4th woman overall and I won my age group! 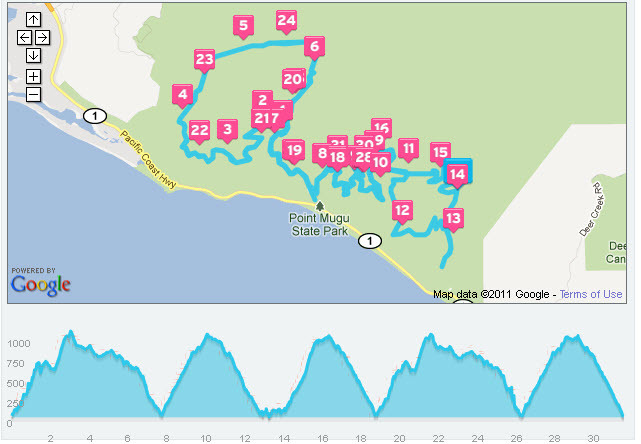 My next race was my first Ultra marathon, a 50K with over 5000 ft of climbing. I was hoping to do it in 6 hours. The weather (it rained for more than half of it) and my lack of training specifically for this race played a big part in why it took me over 7:30 hours! But when all is said and done, I am very pleased with the accomplishment of completing an ultra and three big races in 6 weeks! It was a funny month because of two big races which means a lot of recovery time and tapering. Because of that my times and distances were down from previous months. Except for my swimming that is… I used the need for recovery and tapering to increase my time in the pool. I am very happy to say that my speed that I had this summer is coming back. I never thought I would enjoy swimming without my master’s team but through the help of some workouts designed by a teammate, I have been trying to make effective use of my time in the pool. One notable thing was I did 50 miles on my new tri bike. That was the furthest I had ridden it so far! I also have been a little better about more consistent core work. I want to have a well-defined plan for my Ironman St. George race. I will be starting training specifically for this race towards the end of the month. Keep smiling through the tough times! 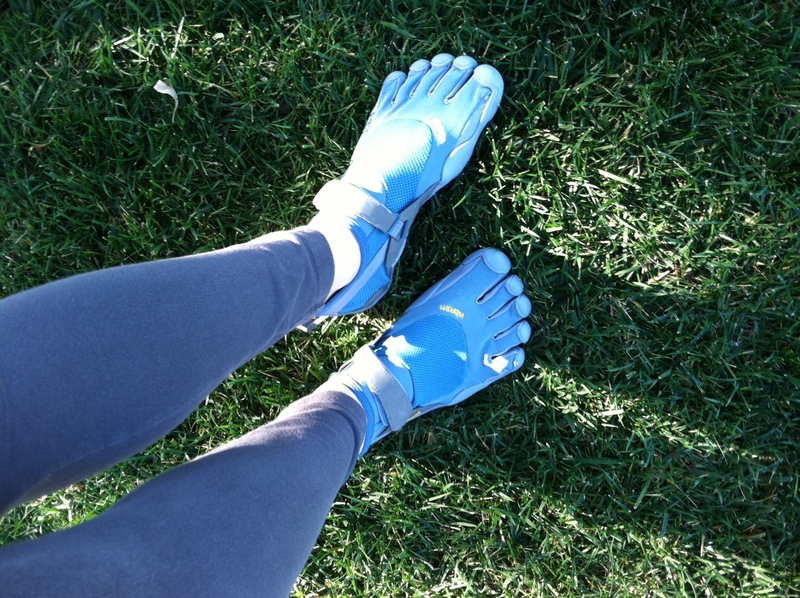 I invested in a pair to help with my running form. I am only walking in them! If you had told me 9 months ago that I would be an Ultra Runner one day I would have said you were crazy. This was never something I was interested in. Heck, I had never enjoyed running the trails until April of this year. At that point the thought of doing an ultra was planted in my head. 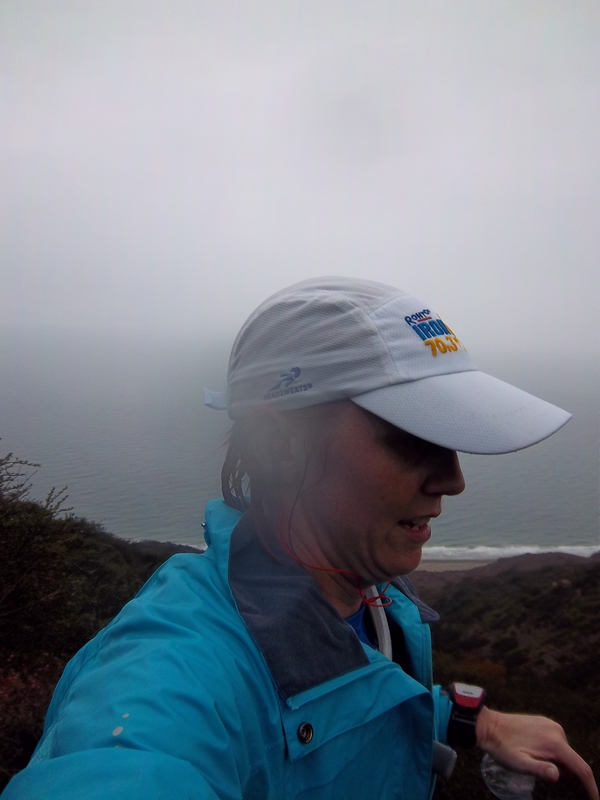 I had a lot of races between then and the race day of November 20, 2011, so I could only get as much time on the trails as I could sneak in during my various training plans. 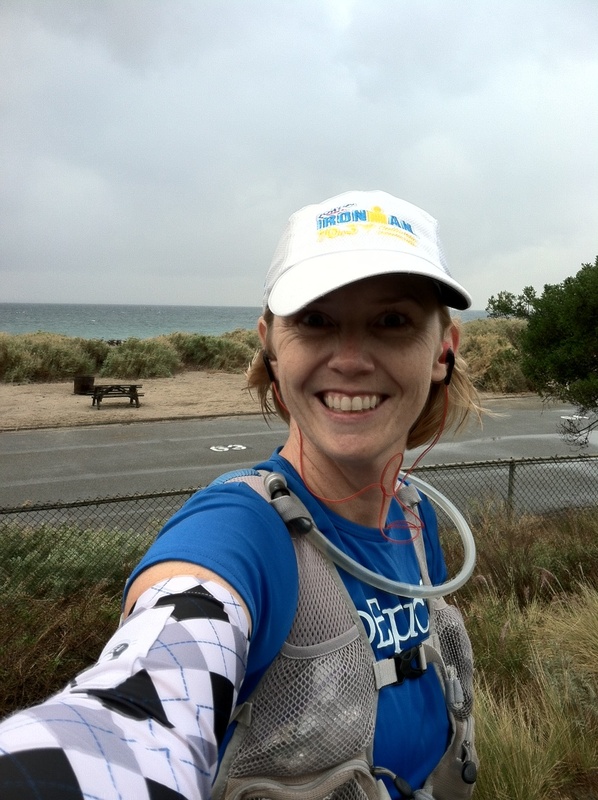 I figured my marathon training would help prepare me for the distance and I would do all I could to prepare for the terrain. So the day was finally here to tackle a 50K. I woke up extremely excited to do the race. I knew the weather was gonna make things tough; rain was predicted for pretty much the whole day. 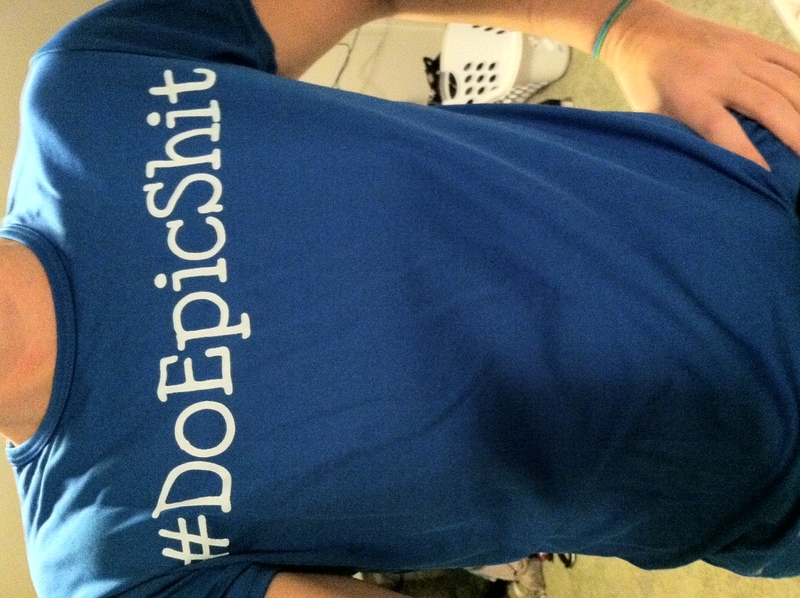 I wore my new #DoEpicShit shirt, a running rain jacket, my CW-X tights, and my Salomon XR Crossmax shoes and started off on my adventure. This race is essentially 5 ups and downs, so I will give you a run down hill by hill. The first hill is a counter clockwise loop kind of like a lolly-pop. The views are breath taking and the terrain is very technical. It is single track and some fire road with varying surfaces. It can be kind of tricky (I actually fell on this the first time I ran it and almost broke my ribs). Luckily my legs were fresh and I was excited. 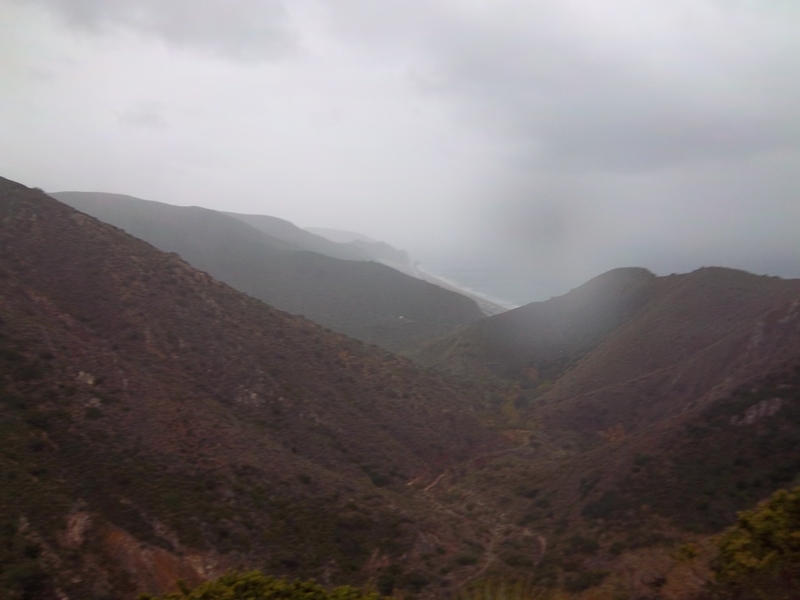 This loop went by pretty smoothly but it did rain the whole time. I had lots of nice conversation with the fellow runners (something I am not used to from triathlon), and the first loop was done! I ran thru the first aide station and started on the second climb which takes you up and over a hill/mountain (whatever you call them) into a totally separate canyon. The up was pretty much all single track. I was still feeling good and ran most of this leg. The conditions were getting worse and there was a lot of mud and puddles. The down was mostly fire road which allows for easier passing (and being passed) but it made for some CRAZY mud! I tried to get out my camera to take a picture but I fell flat on my tush! It was a slippery mucky mess! Once I got myself up (thanks to the help of a nearby runner) I finished the descent and ran on to the aide station. I needed to refuel big time! The spread was awesome! Payday bars, pumpkin pie, beef jerky and coke was what I ate! It all hit the spot! After the snack and some Advil I was on my way. Luckily the rain was still coming down so all the mud on me started to wash away. The next climb was a killer. My back was tightening up and my hip/glute was not happy. This was the my lowest point in the whole race. The climb just felt like it went on forEVAH and I did very little running. All I tried to do was keep moving forward, purposeful walking I call it. Luckily after every 3 mile climb there was a steady descent to enjoy. The trail was getting muddier and muddier so some parts of the descent were not runnable for me. I didn’t feel like falling on my a$$ again! Got to the bottom and ran by the start/finish but really had no desire to quit. I knew I could do this but there was no way I was going to make my goal time of 6 hours. I hit the aide station for a few more snacks and continued on to the first loop again. I remember saying to myself, “How did I run up this before?” A voice inside my head answered “That was almost 4 hours ago! That is how!” Lots of purposeful walking and some very cold and deep puddles and I made it to the top. There is a really nice pretty flat section at this point. I was amazed that my body just kept running! It wasn’t going fast but it was going! I made it to the descent, got back to the start/finish, and quickly set off for the final hill. I didn’t waste much time at this point to get moving. I was starting the last 9KM out-and-back and I was at 6 hours (the time I had been hoping to finish in). I couldn’t do much running up but I just kept moving forward. That was all I could do. The clouds had broken over the ocean and the views were amazing. The pictures from my camera don’t do it justice (mostley because water leaked in my lens!). At this point it was just about getting it done. Get up, Get down, and get out of there! The descent was pretty slick in parts but amazingly I was still pretty comfortable running downhill. Just a little bit of the mud. Nice toe nail! I made it to the finish around 7:35! Not the most exciting of race finishes and honestly I was a little disappointed with my time at that moment. 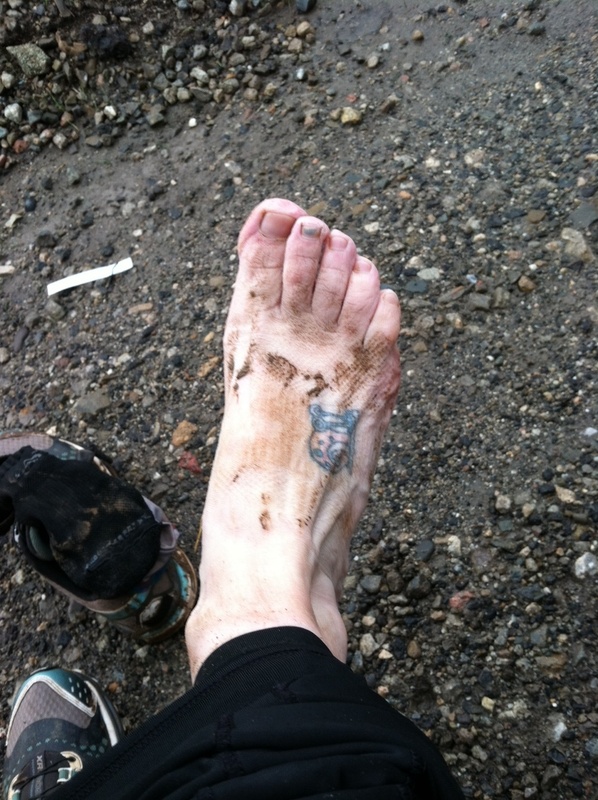 I grabbed a banana, headed back to may car where I took off all my muddy and wet clothes (which were all of them). If I flashed you on the side of PCH either sorry or you’re welcome! Drank a chocolate Honeymilk and made my way home! I stopped for some soup, nachos, and coffee and then finally washed the rest of the mud off me! In hindsight, what I did was pretty amazing. Not many people can say they ran 31 miles with well over 5000 ft of climbing, especially in those conditions. Not only that, but I never turned my music on, not once. The fact that I did 7.5 hours continuously and with NO music was a big boost to my confidence for Ironman training. I had said that I had no desire to do another Ultra anytime soon and honestly there is no time in my schedule to really train for one specifically (but you know I already am planning on how to crush my time!). 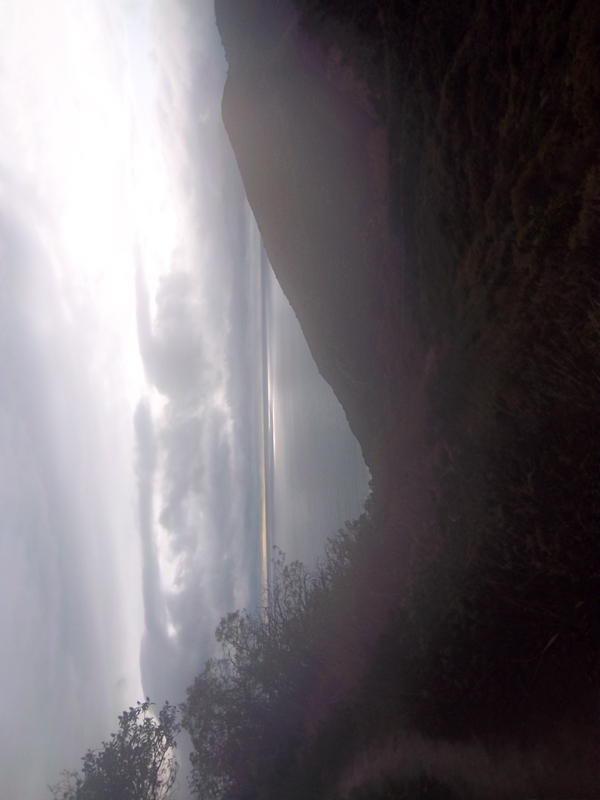 The views were amazing! I ran up from sea level to here! I had trouble with the self portrait, I didn't want to fall off the cliff! Water in the lens kind of messed this one up.